>> Find some! Preferably the large golden type to have room for stuffing. Enjoy the process of stuffing smushy cheese goop into the little hollow mushrooms! Finger get you started on the great big ones, I found the blunt end of a chop stick very useful for packing the stuffing in. Bake at 350 degrees for about 20 minutes. 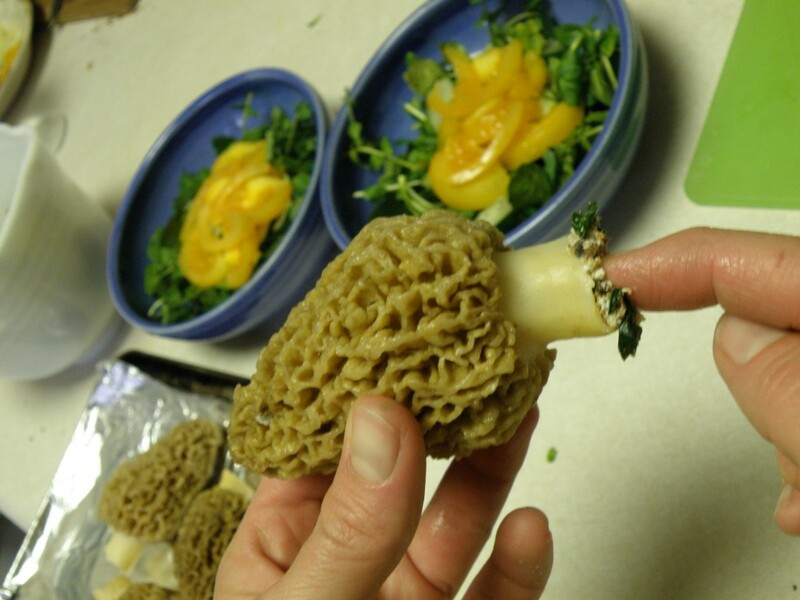 The cheese will get melty and the oil will ooze out almost sautéing your morels in the oven. They should be darkened a bit, but not dried out or crusted over when finished. Anything you want! Bacon is always a good idea!